Jumia is running a Back to School competition for students returning for the start of a new academic year. The contest promises to award the winner with a new Dell Inspiron 3552. 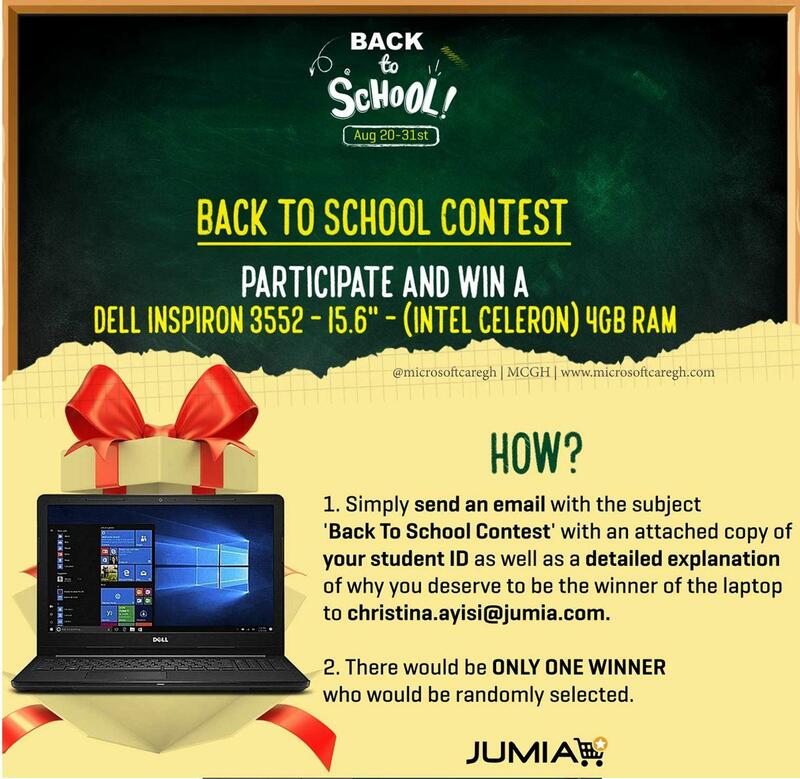 To participate in the contest all you have to do is to send an email to christina.ayisi@jumia.com with the subject Back To School Contest. Attach a copy of your student ID card and a “detailed explanation” in the body of the email, of why you deserve to be the winner of the laptop. Jumia says only one winner will be randomly selected at the end of the back to school contest. We estimate the laptop to be about 250 USD running windows 10. It might be an Intel Celeron N3050, 4GB SDRAM, 1.6 GHz processor, 500 GB HDD Storage and 15.6″ display. The contest forms a part of their Back to School promotion which gets under way from the 20th to the 31st of August 2018. Jumia says it has the best deals for over 10,000 school essentials which will be delivered to your doorstep.